Kelly Dipucchio | What is ML Reading? There are a couple of things you can count on in the picture book publishing world. New picture books about going to school and new Christmas picture books each year. 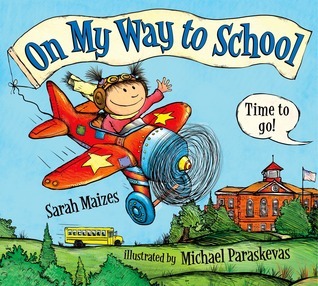 In honor of ML starting second grade tomorrow, some of the best new picture books about school. 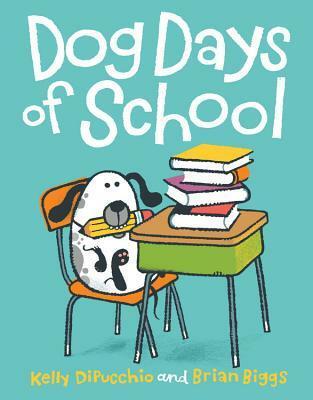 Dog Days of School written by Kelly DiPucchio and illustrated by Brian Biggs – Be careful what you wish for or you might end up drinking out of the toilet. It happened to Charlie when he wished he was a dog one Sunday night; so he wouldn’t have to go to school the next day. Miraculously, his dog Norman and he traded places. Noone seemed to notice. Although they looked the same as always. Norman with his four legs and floppy ears spent the week creating clay sculptures, making a food pyramid and eating cupcakes. Charlie with two legs and two arms ate dog biscuits, played fetch and visited the dog groomer. 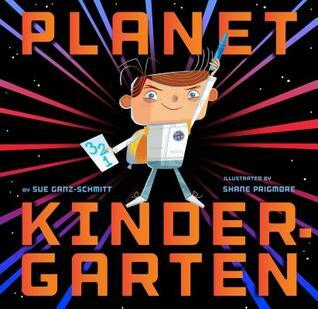 Planet Kindergarten by Sue Ganz-Schmitt and illustrated by Shane Prigmore – Even if you attended preschool, kindergarten is a different world. According to this kindergartner “gravity works differently here. We have to try hard to stay in our seats.” A fun twist on the anxieties of the first day of kindergarten. Last Thursday, I checked out a stack of books about going to kindergarten to a mom. I made her wait while I ran and found this book. She agreed it was the perfect book for both her son and herself. Like most parents of kindergartners, you could hear the anxiety in her voice. Watching your small child with their big backpack enter the school on their first day takes your breath away. My Teacher Is a Monster! No, I Am Not. by Peter Brown – Will my teacher be mean? A thought on every child’s mind tonight. Bobby’s teacher Ms. Kirby is. Actually, she’s a monster who stomps and roars in the classroom. One weekend, Bobby runs into Mean Ms. Kirby at the park. They have a rollicking adventure concluding with the best paper airplane flight ever. Monday, Bobby flies a paper airplane to Ms. Kirby from his desk. Do you think the monster reappears? 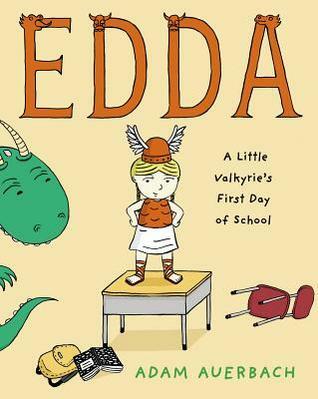 Edda: A Little Valkyrie’s First Day of School by Adam Auerbach – A story about Edda who lives in a magical land with everything a Valkyrie wants, except someone her age. Her father knows the perfect place for her to meet a friend. He sends her to a school on earth. It’s a strange and somewhat difficult world. Waiting in line, sitting still, writing assignments and more. Edda perseveres and makes it through the first day. Her new friends are delighted to see who she brings to school on the second day. The cover of the book provides a hint. 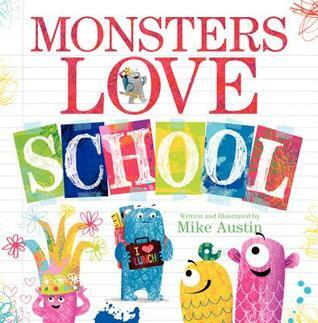 Monsters Love School written and illustrated by Mike Austin – We loved Mike Austin’s book Monsters Love Colors. When Monsters Love School arrived, I knew great things were in store. 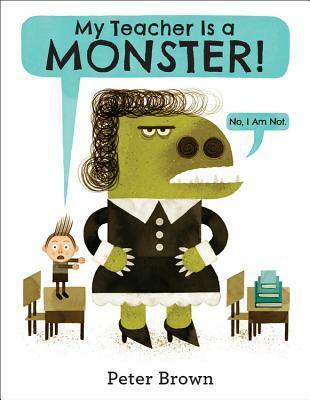 A rollicking, colorful read about a monster’s first day of school. From buying school supplies, to the crosswalk, meeting the librarian, art and music teachers, recess, spelling, lunch and the bell ringing to end school… Blue experiences it all. ML loved the quote, “What’s school for, anyway? asks Blue. “I already know my ABGs and 413s and XYDs!” My favorite part of the book is when they study hisssssssssstory. 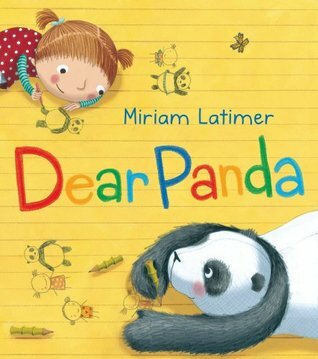 Dear Panda by Miriam Latimer – Florence recently moved and is attending a new school. As any child would be, she’s nervous. With the help of the panda who lives at the zoo next door, Florence makes it through the first day of school and meets a new friend. The perfect book to encourage ML to welcome new students at her school. I wanted to plow through a stack of picture books before ML went on vacation for two weeks. 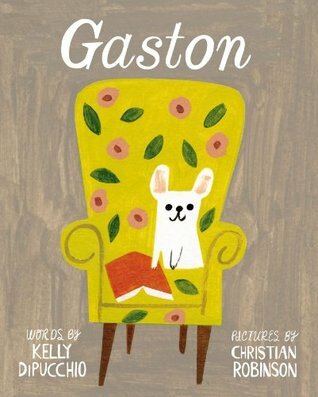 Time got away from us; but the cover of Gaston by Kelly Dipucchio and pictures by Christian Robinson was so appealing I let her stay up a little later so we could read it. After we finished, ML said, “It’s like the dragon book we read.” I had no idea what she was talking about. The first dragon book which popped in my head was Dragons Love Tacos. I didn’t see a correlation. ML explained, “The one with the crocodiles.” Believe it or not, this made perfect sense. 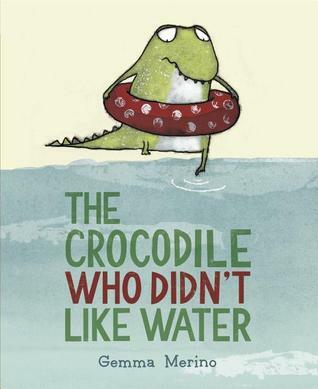 ML was referring to The Crocodile Who Didn’t Like Water by Gemma Merino. Both books are about finding where you belong. In Gaston, two dog families meet at the park. It you judge by the physical features of the dogs, Gaston belongs with the other family and Antoinette with Gaston’s little poodle family. They decide to switch places. But it’s not the right fit. So they return to their real homes. Christian Robinson deservedly won the Ezra Jack Keats New Illustrator Award this year for his book Rain, which I’ve been meaning to write about. An illustrator to watch for certain. In The Crocodile Who Didn’t Like Water, one crocodile has nothing in common with his siblings. They love the water. He does not and it leaves him lonely. Until he develops a plan… saving all his tooth fairy money to buy a swim ring. Unfortunately, it doesn’t help him enjoy the water, but in the process he learns why he doesn’t like water. Learning his true talent which helps him find his perfect home. A debut picture book by author/illustrator Gemma Merino. Her pacing and illustrations are perfect. Don’t miss reading two of our favorite reads this summer. ML’s cousins visit this weekend. These books are in my bag to go home again. I know they’ll be a hit.